Meow Mix presents Megan and her cat, Louie, both with “impeccable taste in shoes and shoe boxes”. 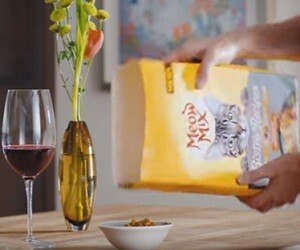 The 15-second spot features them choosing Meow Mix Bistro recipes, made with real chicken to make mealtime taste like a reservation for two. “No wonder it’s the only one cats ask for by name” – says the voiceover at the end.